This week, Asus announced its partnership with Flipkart to sell its smartphones in India exclusively through it. At the event, it was announced that Asus would be launching a new smartphone, Zenfone Max Pro M1, in India on April 23rd. Till now, we have got a lot of details related to the phone already and today, reputed leakster, Evan Blass, has posted the official press render of Asus Zenfone Max Pro M1 on Twitter along with a few specifications. The render confirms one thing that is going to be the main highlight of this Asus device, i.e., stock Android. So, as the image above shows, the Asus Zenfone Max Pro M1 has an 18:9 display on the front which is a Full-HD+ panel having rounded corners. The phone, therefore, has on-screen navigation buttons. On the rear, there is a dual camera setup placed vertically in the top left corner, but if you look closely, it is not protruding out like the one on Redmi Note 5 Pro. And hey, Did we tell you that Max Pro M1 is going to be a competitor of Redmi Note 5 Pro? The fingerprint scanner is placed on the rear. Asus devices always feature the ZENUI skin on top, but this time, the company is doing something different as the Asus Zenfone Max Pro M1 is coming with a stock Android experience. You can see the stock Lockscreen interface in the render above. Talking about the specifications, Snapdragon 636 processor powers the phone and this is the same chipset that is there in the Redmi Note 5 Pro. Evan mentioned only 4GB RAM, but we expect to see 6GB RAM option too since the Redmi Note 5 Pro has one. It is a dual-SIM device with the option to expand the storage via a dedicated microSD card slot. 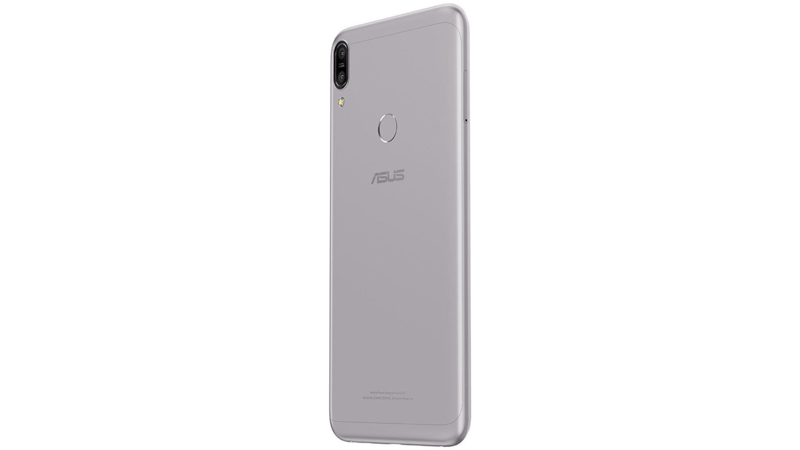 The previous leak from Asus Zenfone Blog revealed specifications like a huge 5,000mAh battery, a 16MP front camera with LED Flash, Face Unlock, Triple-slot – Dual SIM + microSD card at the same time, Up to 6GB RAM, etc. The launch is happening tomorrow and is if priced right, this could be a Redmi Note 5 Killer. Yep, I agreed all these mi kids, are so hyped about red I note 5 prom they never saw this coming. But if the rumoured mi a2 sports SD 636 soc too, then these two phones will rule that price range. RIP moto.